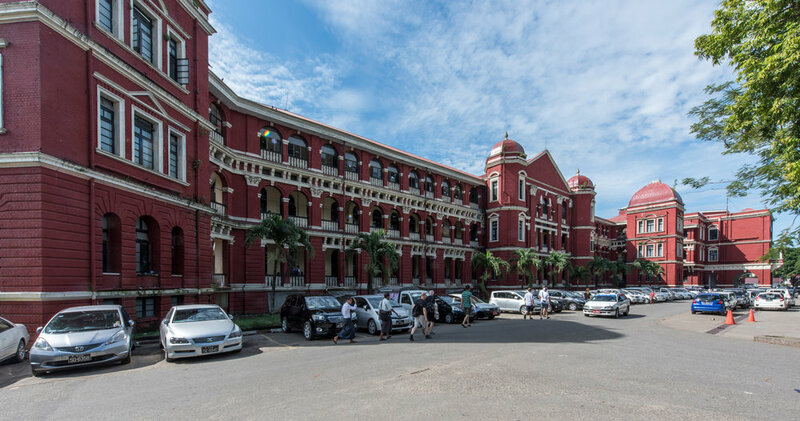 Originally constructed during British colonial rule in 1909, The Yangon General Hospital is the largest public hospital in Myanmar and is responsible for training approximately one third of Myanmar’s medical workforce. It was designed by the architects, Henry Hoyne-Fox and Henry Seton-Morris. Over the years, unplanned growth and lack of maintenance compromised the building fabric and led to problems with some vital infrastructure functions, such as lack of adequate drainage, water supply and good patient access. The Masterplan developed by Article 25 in close collaboration with the hospital is intended to guide refurbishment and sustainable expansion of the campus. 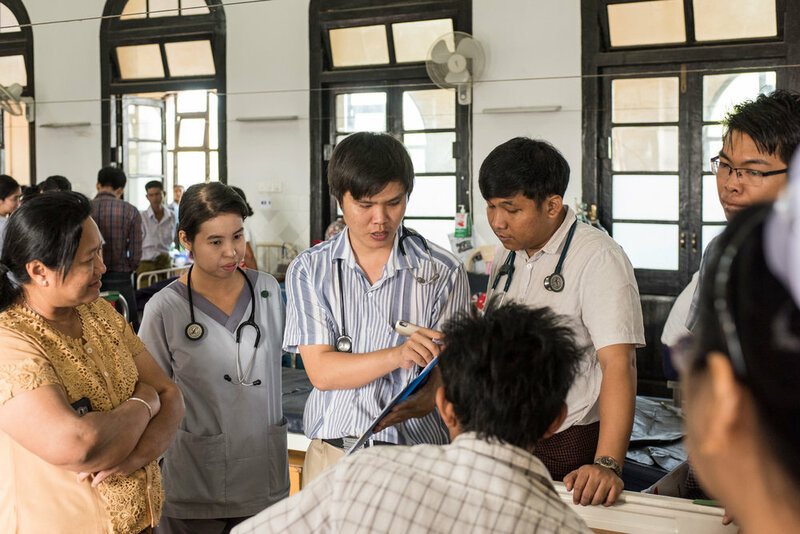 It takes into account the heritage of the old buildings as well as providing adequate space for patients and staff for the future of YGH as the central institution of the Myanmar healthcare system. Following the delivery of the Masterplan at the beginning of 2017, we are now working alongside the hospital on the implementation. The Masterplan sets out the proposals to develop the hospital over an estimated 20 year timeline, divided into 4 phases. The work we are currently undertaking is the second year of Phase 1. The initial remit was to ‘make the campus safe’. Design and construction will be focused on site wide safety and four key buildings which have been identified as essential in providing services, both to the hospital and the city at large, in the event of a disaster.